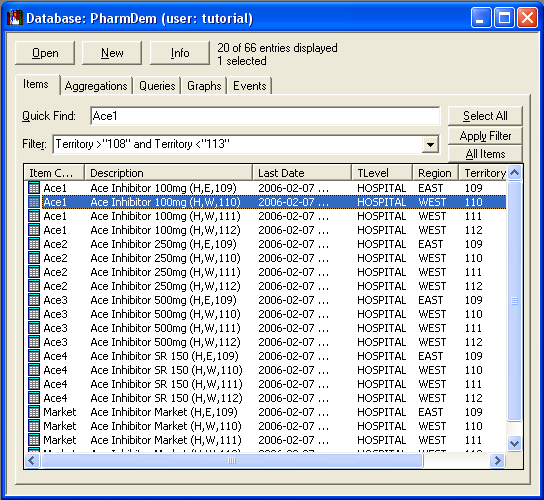 The Database window is the control center of the TimeTrends Forecast Warehouse. Each Item in the list under the Items tab is an SKU as defined during the product implementation phase; the other tabs list other elements in a TimeTrends database such as Aggregation hierarchies and Graphs, etc. To save this image, right-click, select Save Picture As, and navigate to a location on your system where you can store these images for later review.